234 years ago in 1785, River Antoine Estate Ltd was established on Grenada. 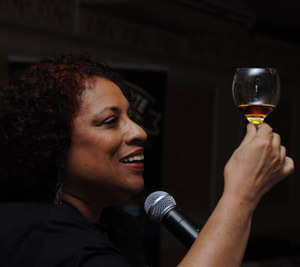 Joy Spence has the distinction of being the first woman to be appointed a master blender in the spirits industry. She has a Masters Degree in Analytical Chemistry and has worked for J. Wray & Nephew Limited for 25 years including 16 years studying under J. Wray & Nephew's previous Master Blender, Owen Tulloch. "When the science and the art of creating rum come together you get an exceptional rum and it is sheer magic." Joy has earned the respect and admiration of the industry she loves. Her easy going warm demeanor is just one of her many attributes that enrich everyone and everything she touches. Thank you for taking the time to answer questions from our forum members. As someone who works as both a distiller and blender, which do you feel is more important to the rum in your glass, distilling or blending? Joy, thank you for taking the time to join us in this forum! Appleton rums are always on my shelf, I love the rich, bold distinct taste that Jamaican rum brings to the palate. As your rums work up the ladder from the V/X to the more aged rums, how much variation is there in the amount of pot distilled rum to column distilled rums?